If Ahmad Bradshaw and Brandon Jacobs perform like they did last week, the Giants will pick apart the Packers’ mediocre defense. With a good running game, Eli Manning will have a field day with his receivers. In 2007 when the Giants last played the Packers in the postseason, the Giants gained a solid 134 rushing yards and two touchdowns on the ground. Plus that Packers defense was one of the best in the league that season. If Jacobs and Bradshaw only run for a combined 85 yards, like they did against the Pack in Week 13, it’s not going to be pretty for Kevin Gilbride. Aaron Rodgers can’t have time in the pocket if the Giants want to win (or at least hold the Packers under 45 points). With Jennings back in the lineup today, Rodgers has all of his weapons ready to go. Let’s face it, the Giants secondary has improved over the 2011 season but it’s still not that good. Just like they did with Matt Ryan, the defensive line must get to Rodgers and disrupt his time in the pocket. In Week 13, there was a play in the second half where the Packers were inside the ten on a 3rd and goal. Rodgers went back to pass and had at least eight seconds in the pocket. Eventually, Donald Driver got open and the Packers had themselves another touchdown. (See Below) This can’t happen today. Let’s hope JPP, Osi, and Tuck stay hot and lay the hammer on Rodgers all game. 4:30pm today…Let’s get it on. 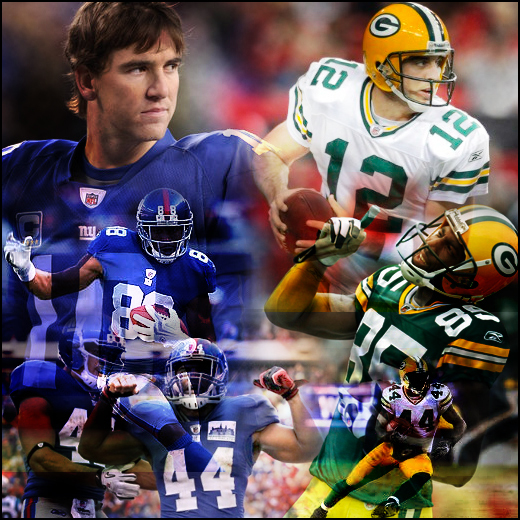 This entry was posted on January 15, 2012 at 11:57 am and is filed under Giants. You can follow any responses to this entry through the RSS 2.0 feed. You can leave a response, or trackback from your own site.